When you want to have that extra thump in the low-end and ensure you're hearing everything your mix has to offer, that where the HS8S subwoofer comes in. The HS8S features Yamaha's new 8" woofer design that is capable of response down to an incredibly low 22Hz, more than enough low-end for any style of music. The new woofers use carefully selected magnets to provide ultra-low distortion and defined bottom at just about any volume level. When paired with a pair of HS series monitors, you can be sure that you're hearing everything you can in your mixes. 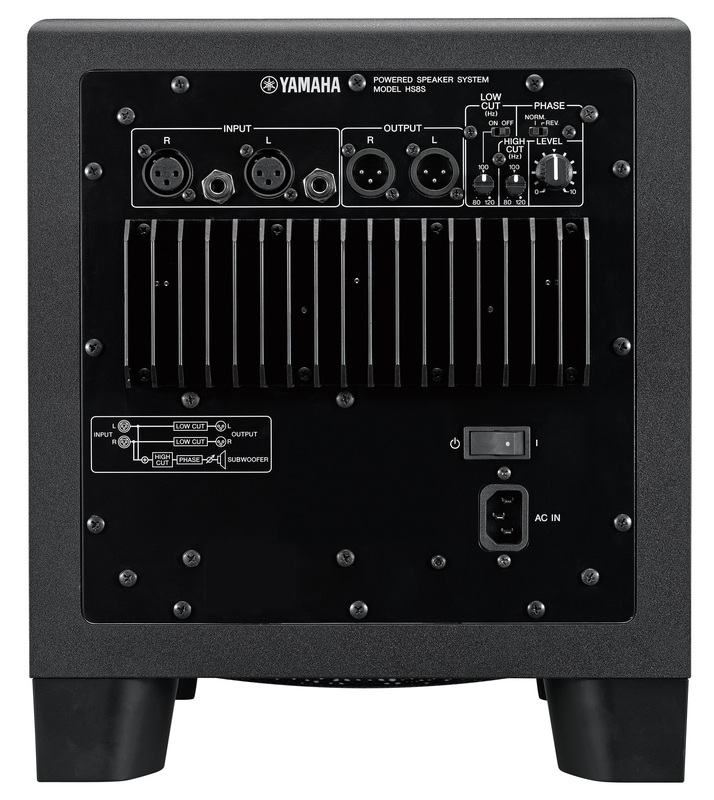 The HS8S subwoofer, along with the rest of the HS line, feature Yamaha's new noise reduction technology. Using highly sophisticated computer audio imaging technology, Yamaha engineers have developed a new port technology that is capable of reducing audible noise up to 6dB. This technology minimizes air vibrations inside the port itself, as well as reduced resonance within the enclosure itself. The HS8S subwoofer has the professional audio connections you need to connect to your audio interface or output card. The HS8 has both XLR and ¼" TRS connections. There is also a level control that allows you to balance the input level for the device you're connected to. 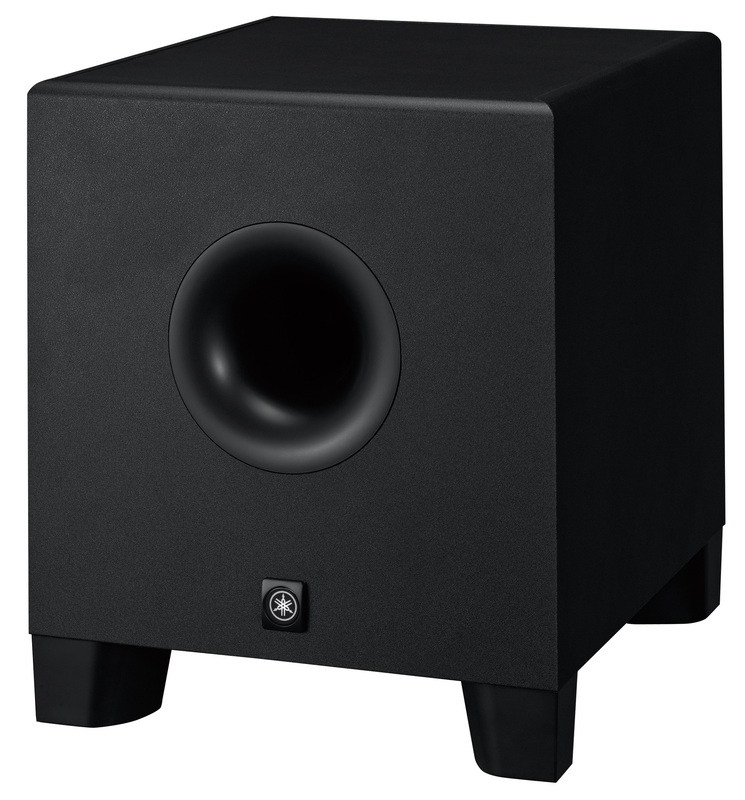 With the HS8S subwoofer, HIGH CUT control sets the cutoff frequency of subwoofer output high-frequency attenuation from 80Hz to 120Hz, while PHASE switch adjusts the phase of the subwoofer output. The LOW CUT switch and LOW CUT controls enables attenuation of low frequencies for output between 80Hz and 120Hz. Dimensions (W x H x D) 11.8" x 13.8" x 15.3"